The Largest Case C Ever Did! I went to the retirement party in Ipswich, for a judge who was one of C’s best friends, in Ipswich tonight. It was good to meet old friends and have a drink and some nibbles. I was also introduced to someone, who as one of the Court Clerks, played a part in the largest case C ever did. She would tell this story with gusto and lots of actions. I’m sure many who heard it, didn’t believe all of the tale. She always called the case, the Thorpeness Affray and although she didn’t do crime in the later part of her career, she was persuaded to defend someone in this case, which took place at Ipswich Crown Court. The size was enormous, in that there a hundred and eight defendants, which my informant said they split into two separate trials. I think once, she said the clerks were scraping the barrel, which is why she got roped in. It became obvious that the dock wasn’t big enough, so it was decided that each defendant should have a number and these would be placed above their seat. Each of the barristers would carry a flag identifying their clients. Concerns were raised, as this numbering might not be conducive to a fair trial. The judge was the well-respected and mildy-eccentric Bertie Richards. He thought, that if the defendants were to be numbered, so should he as the judge. So a number one was placed above where he sat. At this point in the story, C would get all agitated and would make an action of holding up her flag and saying something like “Your Honour! I represent number 4!” Once the substitute flag in the telling, was a numbered wooden spoon in the restaurant of the pub, much to the delight of everyone. Whatever happened to her client, I can’t remember. But tonight, I was told that many of the defendants, were part of a gang called the Bramfield Budgies. Bramfield is a village in Suffolk on the A12. I think it is true to say that in the 1970s and 1980s, the conduct of justice was sometimes a little out of the ordinary. 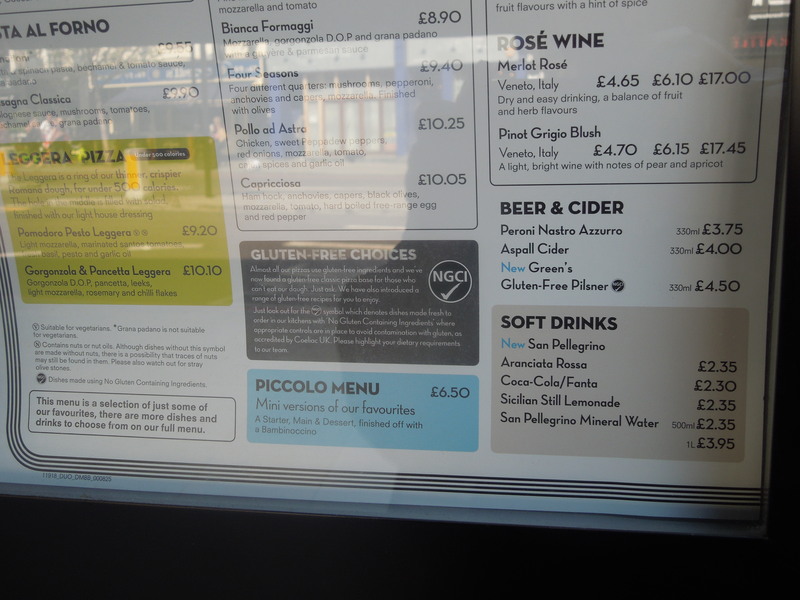 I walked past the Pizza Express in Islington this morning and looked at the menu outside to see about the gluten-free offering. Note the gluten-free beer, although I think, I would prefer the Aspall Cyder. The gluten-free statement is strong and comes with a NGCI symbol. This apparently means No Gluten Containing Ingredients. This is an accreditation from Coeliac-UK. Read about it here. As it was early and the place was empty of customers, I went inside and talked to one of the staff. She showed me the serving area and allowed me to take this picture. 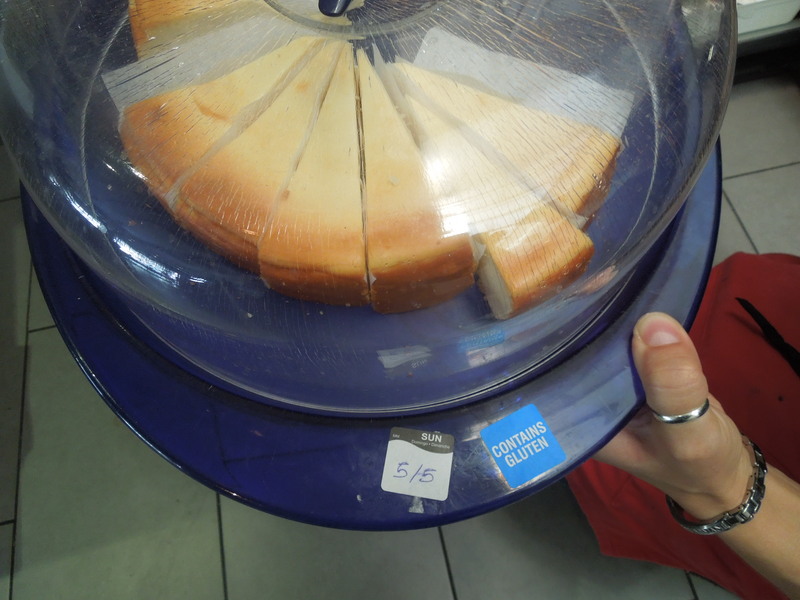 Note the “contains gluten” sticker. The whole system they have put in seems to be very professional and as fail-safe as you can make it. The lady I spoke to, said that all restaurants will be offering exactly the same menu. Have Nationwide Lost The Plot? I’ve just logged in to my Nationwide bank account and they gave me a soft Internet sell on their ISAs. I get a guaranteed rate of 5%, admittedly before tax, with Zopa.